To support the success of Burmese migrant children by providing them with a school environment which inherently offers them safety, wellness, education and inspiration. In conjunction with donors, local community based organizations, and global partners, All You Need is Love Charity supports primary, secondary, vocational and matriculation learning programs. Through these programs, we are working to create space in the lives of our students for beauty, strength, creativity and success – space in which they can thrive. To create an opportunity for Burmese Migrant children living on the Thai-Burma border to find a better life through education. All You Need Is Love is a charitable organization that focuses on the many thousands of children that exist in and around the Thai-Burma border in Mae Sot, Thailand. By introducing you to their lives, their hopes and their dreams, we hope that we can show how the power of the positive works in extreme circumstances. We want to share their remarkable journeys that might leave you astounded but hopefully energized and inspired. Interested in getting involved? All You Need Is Love and the children at Good Morning school would love your help! Click here for information on upcoming volunteer opportunities and all the ways you can support our students. 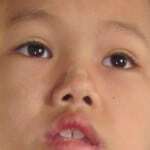 “My name is Pai Myo Thu. I’m seven. When I grow up I want to be a doctor”. Being able to go to school will help to change his life. Helping Pai Myo Thu achieve his dream will change yours. “I am Zon Pwint Aung. I want to be a teacher”. Zon Pwint Aung’s teacher has been an inspiration in her life. Let her be an inspiration in yours. “My name is Thein Than Aung. When I grow up I want to be a mechanic”. 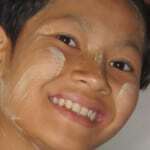 By helping make the future bright for children like Thein Than Aung, they’ll light up your life. 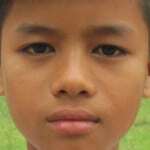 Min Thu Soe’s dream is to help others, let helping children like him be yours.